Bring a hankie to the new movie version of Disney’s flying elephant tale “Dumbo” because it may be a little dark for some people. The movie, a live-action remake of the 1941 animated Disney classic, is centred on a circus baby elephant who is ridiculed for having huge ears and, whose mother, like in the original, is forcibly removed. “They both deal with topics and issues that children and families and grown-ups face in the world every day – loss, grief, guilt, shame, all those things. But at the same time, it’s done in the context of making it accessible to children, and not too much to bear,” Farrell adds. 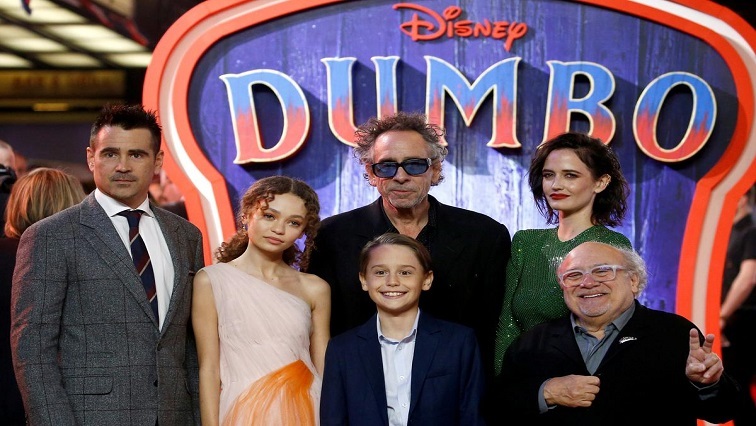 The post ‘Dumbo’ movie may also bring tears appeared first on SABC News – Breaking news, special reports, world, business, sport coverage of all South African current events. Africa's news leader..